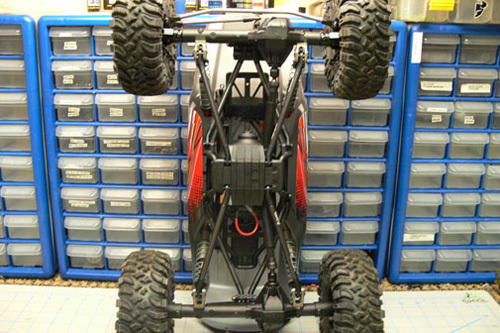 Upgrades continue to the AX10 Ridgecrest transforming it into a mean rock crawling machine. If you followed the Stage 1 Upgrades, we moved the battery to the front, added beadlock wheels with weights, R35 tires, upgraded the shocks and lowered the ride height. After initial testing we had greatly improved rock crawling performance, but we has some tire rub on the body due to the lower ride height and we knew this vehicle has so much more potential. 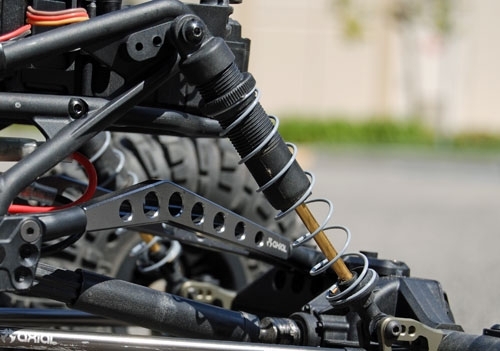 So it’s time to address the tire rub and beef up the suspension as we move towards serious rock crawling performance. To start I marked the body where I would be cutting away. I use tape to create my cut edges. It’s easy to lay down, keeps your lines straight and you can simply peel and re-apply until you like what you got, just like a painter would do. I use my circle templates to draw the radius of the corners. When you’re happy, start cutting. I opened up the wheel arches quite a bit, cut the front grill off, shortening the hood which reduces the front over hang and cut about 3/4″ off the lower rockers because I’m going to want the body to sit as low as possible on the chassis. Then I marked a straight line and gave the lower rockers a fold so the body tucks into the chassis to prevent it from getting caught up on the rocks. Now lets get to the suspension upgrades. 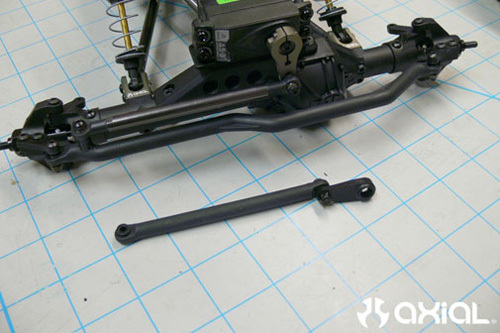 The AX10 Ridgecrest uses Wraith links so it’s easy to install a Wraith Stage 1 Aluminum Links Kit. 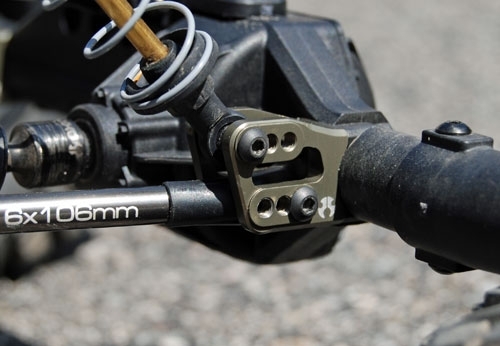 I’m also adding Axial AR60 OCP Machined Link Mounts for their strength and adjust ability. First I installed the aluminum link mounts to the axle housings, again up side down to help lower the center of gravity. The links include instructions and assemble easily. Once assembled you can install on the Ridgecrest. Install the lower links into the axle mounts and then to the skid plate. It’s the same screw that hold the sid ecage to the skid plate. 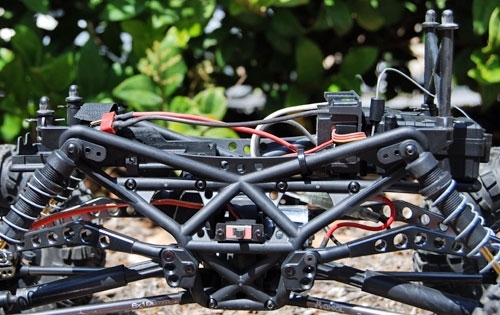 The upper links attach to the axle thrust and then to the cage side and have three attachment points which effect anti squat. I’m starting in the stock center position for all mounts and we can adjust after getting some rock time. 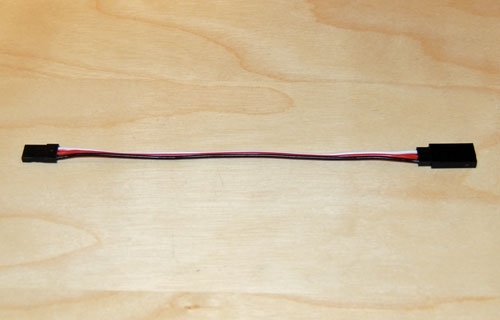 Then I added an aluminum servo horn. Next I added aluminum C-hubs and knuckles and upgraded the dog bones to hardened steel universals. The universals allow for 50° of steering which is 60% more than the stock dogbones, plus they operate smoother thus are more efficient. The hardened steel can handle all the torque we should throw at this vehicle in the future. The steering knuckles and C-Hub carrier are XR10 aluminum option parts so they are much stronger than the plastic and install easily. 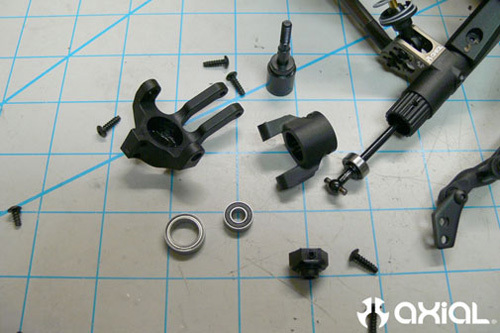 Disassemble the stock plastic knuckles and remove the C-hub from the axle. The dog bones should slide out. You may have to remove one of the link mount bolts that passes through the axle to get the dog bone out and install the universal. With the new parts, put your aluminum C-hub on first, then slide your universal into the axle with bearing installed. Then assemble the knuckle. All your bearings from the plastic parts transfer over. You will want to get some machined screws for attaching the knuckles to the C-hub and attaching the steering arms to the knuckles. Here’s Bender’s install post. 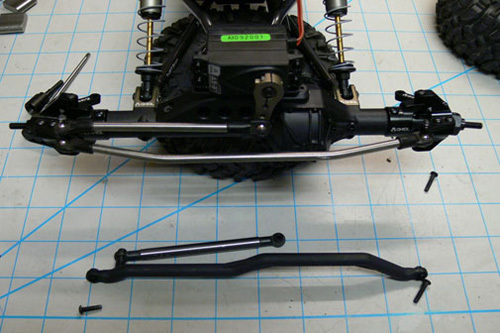 Once the front axle was assembled I knew that plastic steering tie rod wasn’t going to cut it. Axial doesn’t have an upgrade for this part but our good friends at Vanquish have the ultimate upgrade, Titanium Steering Links Kit. So here’s the chassis with the upgrades so far. And the the body re-installed all trimmed up. I used shorter body posts to sit the body as low as possible on the chassis. Crawling performance is again greatly improved on the rocks compared to the stock RTR, but if we really want to crawl, we are in need of a gearing change. So we still have some more to do in Stage 3, over/under drive hardened gears, a 27T motor and pinion and spur. And we’ll see if we find anything else we can do to get this Ridgecrest ready for a shafty comp. Entry Fee: $40 Eventbrite Registration Coming Soon! ALL ABOARD! The G-Train is accepting all boarding passes to our craziest stop of the year, AXIALFEST. The AXIALFEST G6 Challenge is three stages of scale adventure challenge that will push driver & Axial based G-Ride to the edge of the High Sierra Nevada mistyque. Each of the two day stages will present different obstacle & driver challenges. All leading up to the infamous AXIALFEST G6 night stage, a truly one of a kind experience that has a reputation for being fun. New for 2012 are format changse and the addition of more classes. Please read very thoroughly! What is missing from the G6 Challenge is previous use of the “stage buddy,” thus no more walking pre-runs. Drivers will line up and head out to tackle the G6 Challenge. The bonus fun factor is drivers can pair up, drive in a group or tackle the stage like a lone wolf and hope the stage don’t bite first or you’ll be asking a fellow G6’er for some assistance. This new concept is accomplished with a Driver Log Book and explained down below. A driver will still face several stages of G6 adrenaline packed adventure, but a driver will face the stages while the clock ticks. For Ultra Driver, this means driving smooth, steady and fast! For the G6 Adventurist and Team Challenger time is on their side. They are going to need it, too, to complete the challenges that await them, but going too fast this this class can work against you and or your team as breakout times are in place but are not publicized until the end of the challenges. What has not changed for 2012 is the pure adventure that each RECON G6 Challenge™ brings. Drivers better read the intel thoroughly, because each G6 is different in one way or another and that will never change. 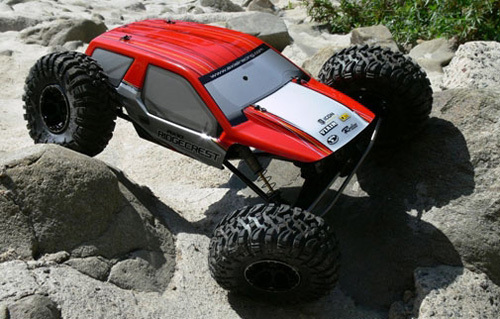 If you love driving your R/C scaler as much as we do and you breathe adventure, then light the lipos and come get your scaler fix in the Axialfest G6! YOUR GOAL: Finish all predetermined stages and complete all mandatory skill sections and driver challenges. There are three different classes that a driver may choose to drive. A driver may only challenge themselves in one class per AXIALFEST RECON G6. Each class will offer a driver different levels of fun with different challenges and guidelines. -G6 Ultra Driver – the class for the G6’er that pushes themselves to the extreme. -G6 Adventurist – the premiere class that puts the F-U-N in adventure. -G6 Wraith/2.2 – the fastest growing class, also known as the training wheel class. The G6 Ultra Driver is the elite class of the G6 and will push a driver to the edge of endurance, driving prowess, and the off the chart challenges. This class is for drivers of 1.9 scale vehicles who take their scale challenge to the next level. An Ultra Driver will have to complete class specific stages and tasks and mandatory skill / driver challenges, twice. This class is a more like a rallycross style stage with a quicker pace and “oh my” mandatory challenges. Drivers of this class must use natural winch anchors only. There are no time restrictions for the Ultra Driver. The G6 Adventurist is the staple class of the G6 Challenge and with the breakout time in play, a driver’s patience and driving talent will prevail in this class. Unsurpassed challenges and in the words of Axial Racing; “Go Overland, Do Adventure”, this defines the Axial SCX10, official truck of the RECON G6 Challenge™ and definitely defines the G6 Challenge Adventurist Class. This class is for drivers of 1.9 scale vehicles who enjoy a challenge. The Adventurist will demonstrate driving ability with more skill sections and more stage challenges and contend with the ever present breakout time. This is the class for the driver who realizes that finishing the adventure is the goal. Drivers may use natural winch anchor points or be assisted by other Adventurists by a tow strap, winch, or another drivers shoelace. The Adventurist may partner up with fellow Adventurist or several to experience the stage as a group and help each other reach the goal of finishing. 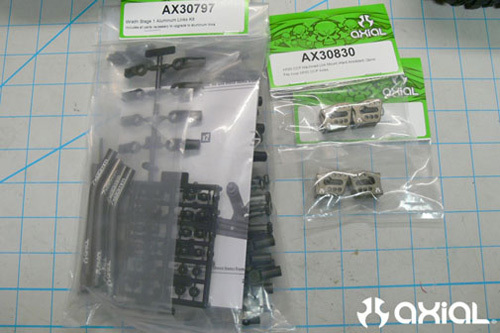 The AXIAL Wraith / 2.2 Class is for the Axial Wraith or “Wroncho” Driver. This class is for AX10 and OCP60 axles only.The driver will perform class specific mandatory skill sections and driver challenges. This class is also for the driver who likes to run 2.2 tires on their scale vehicle, aka “scaler training wheels”. 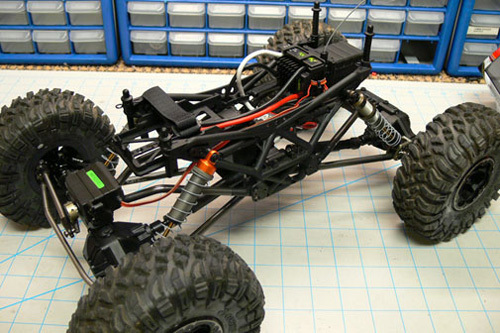 All Axial Wraiths and 2.2 scale vehicles can use natural winch points or receive assistance from other G6’ers. 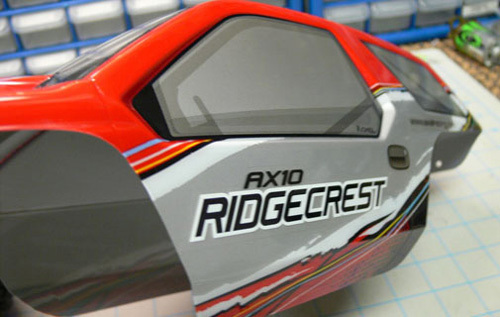 SCX10 / Wraith based vehicles must have Axial axles, transmission(s), and stock SCX10 chassis rails or Wraith chassis in order to be eligible to compete. 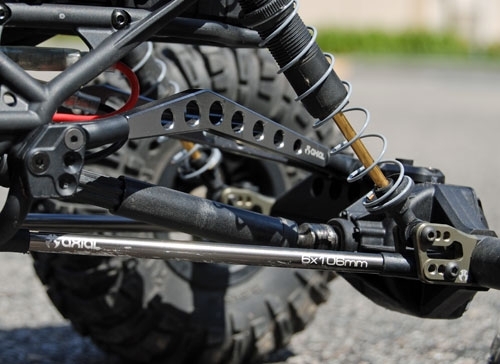 Truggies that use part of the stock SCX10 frame rails are allowed. - Tires may be 1.9, or 2.2, but must be a licensed manufactured tire or knock offs. Tires must resemble the real thing and can only be siped or grooved. No other alterations may be made. - A minimum of 7 scale items must be attached and remain attached to the vehicle. This may include mandatory scale items that may be used on stage for recoveries. - A tow strap is mandatory on all vehicles at every event. A tow strap may be used to assist or recover other drivers on stage. - All scale recovery items/tools, must be attached to the vehicle and after their use, be placed back on the vehicle. This includes sand ramps, tow straps, and hi-lift jacks. The only exception is lug wrench or nut driver. Real tools may be on the driver. 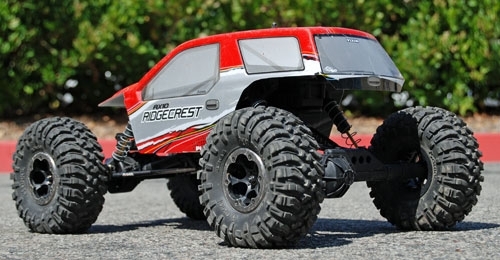 - All classes are allowed to use dig and 4 wheel steering on their scalers if they choose. Stage 1,2,& 3 will feature unique challenges, terrain, & adventure. Each stage will be 300+/- trail markers & each class will have a class specific section. Ultra Drivers will face specific challenges each stage that will find a weakness in your driving ability. - A minimum of 7 scale items is mandatory for ALL stages. - A winch is not mandatory, but highly recommended. - A spare tire is not mandatory, but highly recommended. - A quarter is mandatory & must be carried on your Axial based G-Ride. - A tow strap is mandatory for ALL stages. - Sandramps are not mandatory, but highly recommended. - Axialfest Drivers Meeting Challenge is not mandatory, but highly recommended. 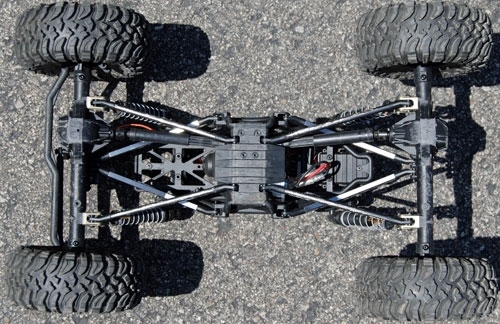 - Axial axles, frame, & transmission are mandatory for ALL stages. - A scale boat is not mandatory, but highly recommended. - Lights are not mandatory, but highly recommended. - A scale disco item is mandatory. - Dressing disco is not mandatory, but highly recommended. This may include platform shoes, leisure suits, or sequin tube tops. - One headlamp per driver is mandatory. - A flashlight may be mounted on a driver’s radio. Rule #1 – (HOG) NO HAND OF GOD. A RECON G6 Challenge™ is all about driving. 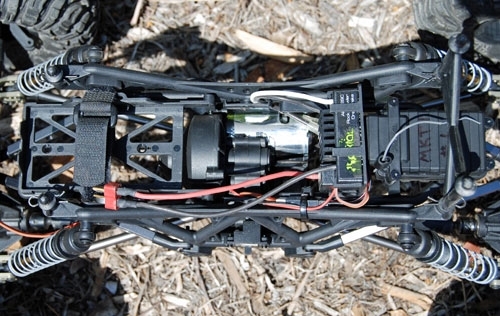 In keeping with the essence of the r/c scale scene a driver may not assist, stop, catch, or kick his/her vehicle. There are no penalties for winching or using your tow strap or for reverses, so DRIVE SMART! The penalty is a DQ for hogging your scale vehicle. Performing on course repairs or having to touch your vehicle for recovery purposes is not hogging. Picking your vehicle up out of water, mud, sand, or rolling it over onto its wheels with your hand is all examples of hogging your vehicle, thus resulting in a disqualification. Rule #2 – A driver can not drive through a trail marker and reverse back through it to avoid trail obstacles. This will result in a DQ. A stage is directional and a driver must maintain the intended direction of travel. Reversing through the trail marker in the intended direction is ok and may be required during mandatory reverse skill sections. Rule #3 – Mandatory skill sections are just that, MANDATORY! They will be located throughout a stage and will have an entrance and exit. There may or may not be a trail marker at a mandatory skill section. This does not mean you can bypass the section. Each class will have a mandatory skill section and it will be marked with a class specific color boundary. A driver must drive their mandatory skill section, only. Rule #4 – HAVE FUN! The RECON G6 Challenge is just that; a CHALLENGE. 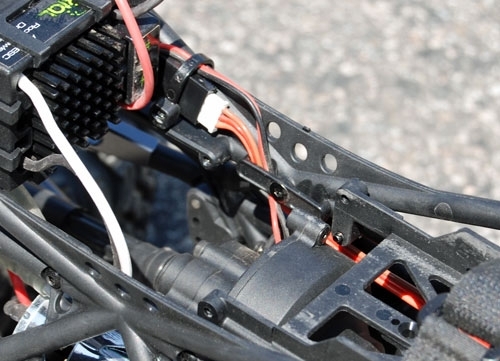 Each class has different parameters that must be met, but you are only cheating yourself out of one of the best experiences you will have with your r/c scaler by not driving with integrity and the willingness to perform each challenge in the spirit of scale r/c. - Each stage will take a driver through various terrain conditions and return them to G-Central where a driver may pit for repairs, eat lunch, or full fill a mandatory pit. Some drivers may choose to continue on with the next stage, but all vehicle break-downs that happen on stage, must be repaired at the spot of the breakage. Taking the time to pit, may save a driver from a lengthy on stage repair. Repairs that cannot be made on stage can be made in the pits, but the driver must return to the spot of the breakage after the repairs are made. -Trail Markers – Trail Markers are numbered and different colors to mark the stage route and direction of travel. The red trail marker is always on a driver’s right and is the intended direction of travel through the trail marker. The left trail marker denotes the stage a driver is on. White, Blue, or Yellow are examples of possible stage colors. A driver may not straddle a trail marker. A driver must get all 4 tires through the trail marker. If a driver dislodges a trail marker or steps on a trail marker, that driver is responsible for putting that trail marker back into position. - Stage Boundaries – There are several types of stage boundaries. A sponsored stage boundary is a boundary that displays G6 sponsors and is the only boundary section of a stage that multiple drivers can be in at the same time. All other boundaries are one driver at a time inside the boundary. A Pink boundary is always a time bonus; whether it is a driving section or a driver task, pink = time bonus. Orange ribbon marks 1.9 mandatory skill sections. Yellow ribbon marks Ultra Drivers mandatory skill sections. Blue ribbon marks the Wraith and 2.2 skill sections. All of the above mentioned boundary markers, if touched by a driver’s vehicle is a penalty. If a pink ribbon is touched, no time bonus will be awarded and the driver must finish the section and mark his/her boundary penalty. - Mandatory Skill Sections are marked with the appropriate boundary ribbon and must be driven. A mandatory skill section may be driving through mud, water, snow, sand, or a taco stand. A driver may be asked to drive up or down a steep grade, handle a tarmac track or hook up to a pull sled and attempt a full pull. A mandatory skill is designed to test the driver’s ability and his/her vehicle’s capability. -G-Tags [15 min] – G-Tags are additional placards on a trail marker. Think of a G-Tag as a check point. G-Tags will be placed along a stage and will be in a specific order. A driver that misses a trail marker with a G-Tag will receive a time penalty. - Driver Challenges are tasks that the driver must complete. A driver never knows what he or she will have to do, but rest assured, it will provide spectators (and myself) entertainment. Some examples of past tasks have been hopscotch, airsoft target shooting, or reaching into a bucket of guts for a time bonus. I love driver challenges. - Stage Challenges have drivers keeping their eyes wide open for objects of desire. A stage challenge that a driver completes may net them a time bonus or even swag. - “Not Mandatory, but Highly Recommended”, is a phrase often used to describe an event specific task. As stated, these tasks are not mandatory, but highly recommended and would behoove a driver to participate in this task. - Stage etiquette should be adhered to at all times. Make 3 attempts at a trail obstacle and then winch or receive assistance from a fellow G6’er. Drive smart. There is no penalty for winching or having a fellow G6’er assist you. Faster drivers have the right of way. - All scale items must remain attached to the vehicle. If a tow strap or sand ramp has to be used, it has to be replaced back on the vehicle. Keeping a recovery item in your pocket is unacceptable. The number of scale items may change depending on the G6. In addition, a specific scale item may be required. A driver must meet these changing requirements. - Time Bonuses [5 min] – There are two types of time bonuses that a driver can earn. First, a driving time bonus must be completed cleanly to earn. If a driver has to assist their vehicle in any way or a boundary marker is touched by the vehicle, no time bonus will be awarded and the section must be completed before a driver can move on, even if this means winching out of the section or being pulled out by a fellow G6’er. The second is a driver’s challenge. A driver must successfully complete the task to be earn the time bonus. - Driver’s Meeting Challenge is an online challenge that a driver must successfully complete to receive a time bonus or swag at the driver’s meeting. - Driver Log Book – The Driver Log book has replaced the stage buddy. Participants will all be on stage driving. The driver log book must be maintained at all times and the necessary information must be logged or the driver will receive a time penalty for an incomplete log book. Trail Markers, Stage Boundaries, G-Tags, Mandatory Skill Sections, Driver Challenges and Time Bonuses are examples of what a driver will track in their logbook. Drivers Log Books will be issued at G6 Central prior to setting out onto Stage-1. -Specifications subject to both changes & updates. $30 per team. Eventbrite Registration Coming Soon! The G-Crew has been back in the lab car of the G-Train cooking up a scale adventure challenge like none to date. The team aspect of scale adventure is fun, exciting, and a great way to share time with friends and family. The AXIALFEST G6 UTAC Team consists of 3 members. Each member drives their own Axial based scaler & each team member plays a distinct role. The “Driver” is the team captain & will communicate with the G-Crew & is responsible for the Teams Log Book. The “Navigator” is the team’s GPS & will use a GPS device to navigate the team from each preset destination. The “Support Driver” will carry all special equipment for the team & will achieve this by pulling a trailer or driving a 6×6. Teams must stay together at all times unless a skill section or special task notes otherwise. - There will be several preset G-Caches. Each team will determine in what order to attain them. - Each G-Cache must be located with the gps & will contain directions as to what tasks needs to be performed. This may require all team members to achieve or only a certain team member. - Some G-Caches may require some puzzle solving. - Only one team at a time can be at a G-Cache. Teams that arrive at a G-Cache that is occupied by another team, must wait until that team completes their skill task before they can continue. 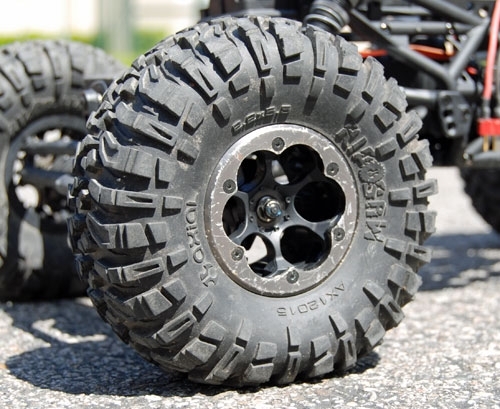 There is a 5 mandatory scale item requirement for every team member’s Axial based scaler. - Must carry the Drivers spare tire. - Must carry a small, but useable magnifying glass. - Must carry an eight foot long piece of string. - Must carry one magnet, able to lift 1lb. - All items must be carried on the rig. This includes all items picked up during the event. There are no trail markers guiding teams to the G-Cache. The Navigator will direct his/her team to the location using only a GPS. Teams will have to locate the G-Cache, much like Axial fans have to locate the Axial Geocache and then follow the directions & replace the G-Cache back as it was found. G6 UTAC Teams that complete the tasks, have the fewest penalties, & can survive the ultimate team scale adventure challenge, may just be crowned the first ever AXIALFEST G6 UTAC Champions. Good luck, G6 UTAC Teams & God speed. 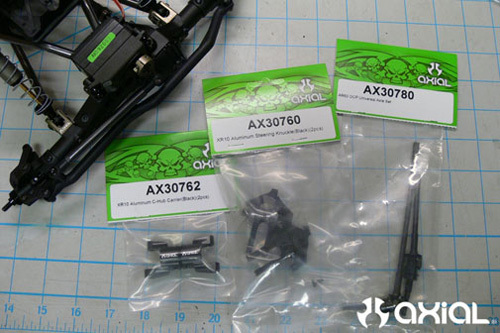 AXIALFEST – ROCK RIOT West Coast Championships70+/- Gate course to get your hard-core technical 2.2 crawlfixation! 2 Rounds of R/C rock crawling action with 6 AXIALFEST Championship Titles up for grabs. BE PREPARED for on-course battery change! 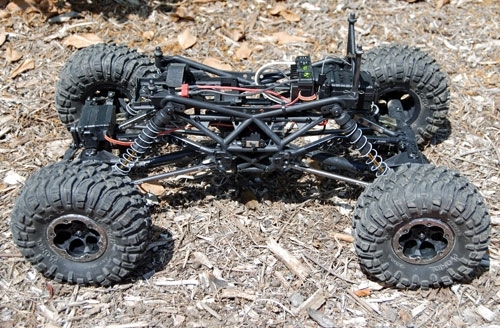 Class 6] AR60 MOD – AX10 RIDGECREST or AR60 axle based crawler. Round One of the Rock Riot WCC will be a day comp that is sure to test drivers of all skill levels. 2.2 Pro Drivers, AR60 Stock & Mod Class Drivers will see class specific course sections and bonus line options. Round Two of the Rock Riot WCC will be a night comp. The night comp will feature several infamous comp obstacles such as the lighted cables of carnage, toxic waste creek, & disco ball canyon. All drivers will have one lap to complete and the combined score from the two rounds will be added together to give us the first ever AXIALFEST Rock Riot West Coast Champions. Rock lights on your comp crawler are very useful for the night comp. Some drivers keep it simple with small LED cap lights stuck under the body, but some drivers go all out with custom LED’s mounted everywhere! No matter how you light your crawlers, a driver may only have one headlamp on their persons. No light is permitted on the radio for the night comp. Track Style Enduro race with 2 to 3 heat races with the top drivers going to the Main. Race course will feature various terrain challenges. Come prepared for something different and the unknown while doing battle-laps! Entry Fee: $20 first class, $10 each additional class. 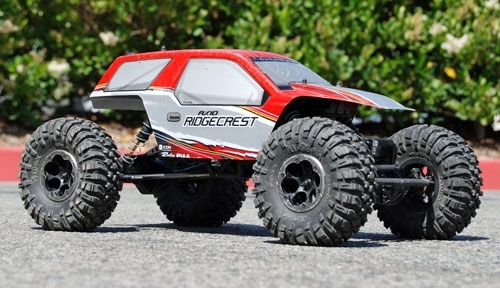 Class 2] Wraith / Ridgecrest / Wroncho / 2.2 SCX10- open class. Note: 5 drivers make a class. If there are less than 5 drivers; these rigs will run together. 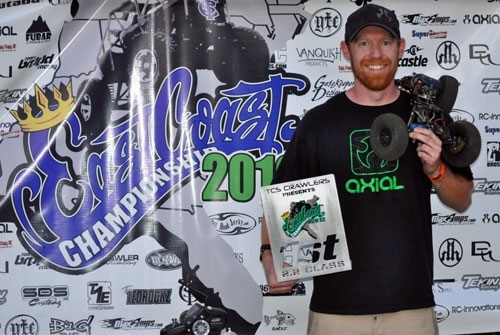 Intro to Axialfest: Meet our friend and Axial Team Driver, Mr. Brian Parker as he gives us the introduction on what we will be doing this year at AXIALFEST! Axialfest is coming to the Sierra Nevada Mountains in beautiful Northern California. 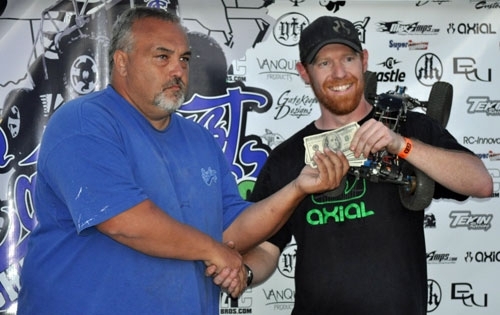 Axial Racing is offering up an event that no Axial fan wants to miss; three days of R/C adventure and fun. Come experience the outdoor lifestyle with like minded enthusiasts. Let the adventure begin! Axialfest is held in Cisco Grove, California. To some, the Cisco Grove Campground is the gateway to the Fordyce Trail; one of the toughest 4×4 trails that California has to offer, but there are trails from mild to wild for every off-road driver. Axialfest takes over the 406-site campground at Cisco Grove as many of the annual participants make this a full family vacation, coming early bringing off-road vehicles and exploring the campgrounds OHV trail access to 350 acres and the legendary Fordyce Trail that rivals the Rubicon! 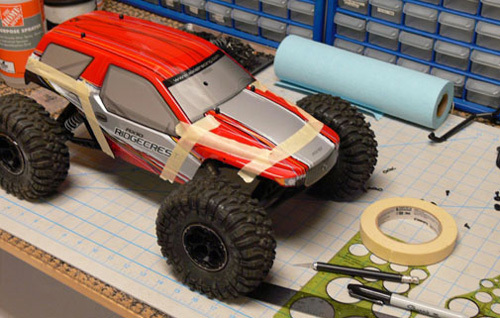 Yes, this is a LIFESTYLE, R/C is an extension of that lifestyle! Here is an overview of Axialfest & what drivers, fans, & adventurers have to be excited about, official Axialfest Activities kick off Friday June 22 at 8am. - RECON Rock Riot West Coast Championships Stage-1. 2.2-Comp Crawlers, your adventure is just beginning & the original AWCC Spirit is in the air. - RECON G6 Challenge, stage 1. 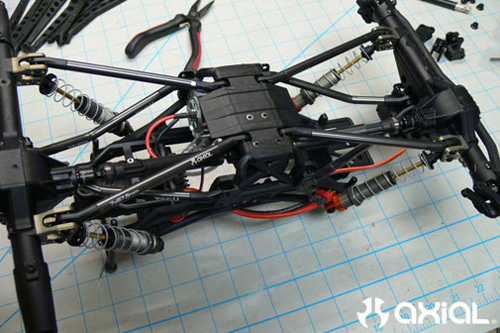 It’s time to get your scaler fix, in the Axialfest G6! - RECON Night Rock Riot West Coast Championships, round 2. This is a night comp & for those drivers that have ever been to one of our night comps, OH MY! When I say, lighted cables of carnage, do you smile? When I say disco ball canyon, do you wanna dance? I do! But I am Brian Parker for polyester slacks sakes! - RECON G6 Challenge Stage-2. Top Drivers in the heat races will see racing action in the Mains. This is not your typical race, it’s an EXOTERRA-CROSS. - RECON G6 Challenge Stage-3, “Boogie Nights”. - RECON G6 Ultimate Team Adventure Challenge – U.T.A.C. This is a scale team challenge that consists of 3 members who each drive their own scaler and each member has a specific role. -The Driver, is the team captain. -The Navigator, will use a GPS to navigate team members to preset coordinates(teams must supply their own GPS, bring your Garmin’s or other GPS devices). -The Support Driver, must carry required supplies for the team to complete certain tasks. The Support Driver will accomplish this by pulling a trailer or driving a 6×6. Teams will navigate to preset coordinates or G-Spots and complete tasks at each one, the team that completes all the tasks, has the fewest penalties, & gets back to G-Central as a team in one piece with all three rigs, may lay claim to the first ever Axialfest UTAC Champion title. More details to come very soon including Vehicle Spec’s, Class Requirements, Registration, G6 Challenge Intel. Axial, Axialfest Sponsors, RECON Crawlers, all look forward to seeing all of our extended Axial R/C Family in the Sierra Nevada Mountains having fun at the first ever AXIALFEST!